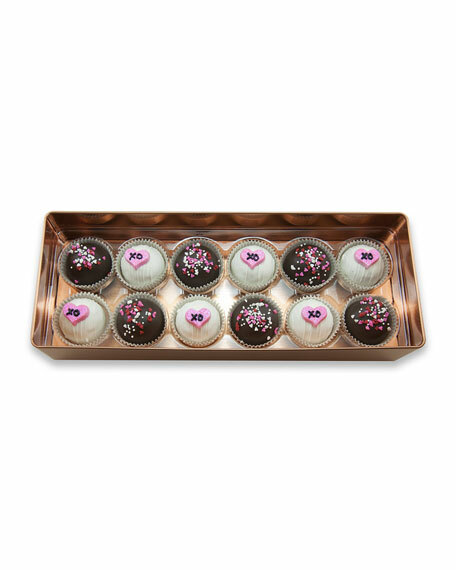 "Be Mine" cake ball collection includes six birthday cake and six red velvet cake balls. Serves 3-6 people; two cake balls per serving. 11.75"W x 4.75"D x 2.25"T.
Allergen Information: Contains dairy, soy, and eggs. For in-store inquiries, use sku #3022555.